Is there a difference between morals, ethics and laws? Or maybe the better question to ask is there a difference between immorality, unethical and illegal? In most situations, everyone knows this happens and people are willing to let it slide. Maybe you saw someone misbehave with a lady and you let it slide or some people may not consider infidelity as unethical or immoral and it certainly is legal. While as adults we may let things slide as “none of my business” or “to each their own” or “I must do something”, as parents we have to ACT and teach our children the difference between right and wrong, the difference between morals, ethics, and laws. When it comes to children, should all three be the SAME? Or is that what the intent is for parents? Or should there be a “GAP” between morals, ethics, laws when raising good children – our future? Historically, the morality gauge of a society changes first, then ethics, and finally the laws. Like over time people accepted gay rights to where there are laws. In the modern times it has taken a few decades for this. When will it be time to have social acceptance and equal laws for IVF children and families? As per laws, a genetic link is required between a US parent and a child born outside the US. Therefore, an infertile US person cannot get a child (like an IVF child) born outside the US legally into the US. That would be breaking the law and is illegal. While finding someone who IS fertile, have an IVF child, get the IVF child into the US and then dump the fertile parent and alienating the innocent child from the biological parent is OK for the child? Is that immoral and illegal? Or what if a lawyer who helps an infertile immigrant pull this conspiracy off by abandoning an innocent IVF child in India who is the sibling of the child (that he wanted) the infertile person claims to love. Is that unethical, immoral and illegal from the IVF children’s perspective? A lawyer may have been “ethical” to their client but what about the fact that they helped in abandoning an IVF child and making them “legally invisible”? If a lawyer finds out their client has broken the law and especially where the welfare of a child is endangered, what are the ethics, morals and laws of disclosing that to the court and/or appropriate authorities? What is it to treat an innocent, IVF infant like a “tool”? What is it to use an innocent IVF sister as a “tool” against her IVF brother? Do innocent IVF children who are born have equal rights as other children? We always hear “the best interest of the child”. What is the “best interest of children” in splitting two lovely innocent IVF brother and sister? Is abandoning a natural born child different than IVF child? It should not be but legally it is different. IVF children end up in legal limbo. What are the rights of the IVF child who was consented to by an adult but later the adult decided against it? What should one do with the abandoned IVF child? Unlike natural births, IVF births are deliberate and planned and comes with a more heightened sense of responsibility and accountability towards the IVF child, the donor and surrogate. When you abandon an IVF child, you are also abandoning the humanity of others including the donor and surrogate. Are the needs of a natural born child any different than an IVF child? There shouldn’t be any difference but legally it is different. While it is a crime to abandon a natural born child, there is NO crime to do so with an IVF child (wonder if human cloning is ever allowed, is this what people will do?). While an adult will be held accountable and responsible for abandoning a natural born child, the abandoning IVF parent has no obligation towards the IVF child. Is that because the IVF child has been made “legally invisible”? It that ethical and moral and illegal against the innocent child? 1) DO NOT give human rights to others in private, be vocal and be public about it. The person receiving the “equal treatment” (where government itself falls short like gay rights, intersex rights, fertility rights, immigration rights) may turn it around against you. Is that immoral, unethical and illegal? 2) DO NOT break the laws for your spouse. Love, compassion, help are all one-way streets and those things are not returned to you. If you show love, compassion, help to others where laws itself fall short, when the lies are used against you, no one will help you and instead hold you “equally accountable.” Is that moral, ethical and legal? The only crime committed is not reporting the crimes which is not same as committing the crimes or intent to commit crimes. 3) DO NOT get blackmailed by liars and criminals who break laws. They will get in trouble and so will you. Worse, your innocent, voiceless IVF children may get in trouble too for no fault of theirs other than to be born IVF. 4) The RIGHT thing to do is to educate and advocate for equal rights and let the government do the right thing by passing equal rights and laws so you can also follow laws. Trying to do the “right thing” on your own like helping an infertile person have a child when it is not allowed legally, or being married to an intersex person when it is not allowed legally, or sponsoring immigration of an intersex spouse when it is not allowed legally, it will only get you in trouble and worse your innocent children in trouble. These crimes are so heinous that it pales the abuse, domestic violence and cruelty and suffering that one may have endured in trying to give equal rights to an immigrant intersex person. It is one thing when individuals discriminate, but when institutions, governments and laws discriminate, where do you turn to for justice? 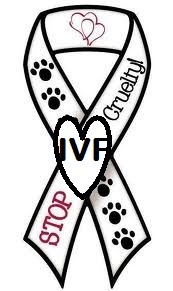 It is an evil cruelty for an IVF family in 2014. It is one thing for the government and laws to discriminate – it is not new but to force a parent to discriminate against their own children because their only fault is to be born IVF takes it to whole another level. Slavery was legal 200 years ago but was and still is discrimination, women suffrage for equal rights was illegal and is discrimination, racism was legal but is discrimination, apartheid was legal but is discrimination, gay rights are transitioning but is discrimination, IVF rights are non-existent and IS and WILL BE discrimination. A gestational IVF mother is DENIED US passports for her IVF children because she used donor eggs and had no genetic link. More than four years later, the laws are changed to allow a gestational mother to get US passports for her IVF children. But a biological IVF father cannot get US passport for his IVF daughter. Why this discrimination based on biology and gender? Why this evil cruelty? Is it the love and character of a parent that counts? Whether infidelity during marriage is a moral crime and/or a legal crime depends on the jurisdiction where the act is committed. However, if you have a child born due to the infidelity, the child is considered “born out of wedlock” and you are held responsible for the child. ALL IVF CHILDREN born to US parents outside the US are legally considered as “born out of wedlock”. So if a fertile spouse tries to have an IVF child due to the infertility of their spouse or because they are a gay couple, why should their IVF child be termed “born out of wedlock” by the laws? It is OFFENSIVE. Is there a marriage or is there not? Or is it a crime to be married to an infertile person and wanting to help and have a lovely child through IVF? As US President Obama said, “Words have meaning” and calling my IVF baby “as born out of wedlock” and the associated stigma and falsehood is offensive. There is a term for it in the English dictionary and its deragatory – it is time to update the offensive language in the laws and stop calling someone’s baby ugly. Why this evil cruelty? If two IVF children are born the same way through the same biological parent and NOT a donor, they are brother and sister and were intended to grow up together and have a lasting bond as siblings. In 2014, these rights to innocent, voicless IVF siblings is ONLY granted if born of the same mother and is DENIED if born of the same father. The gender of the biological parent is used to discriminate against innocent IVF brother and sister. We hope to see a world when the gender of a parent will not matter as much but their love and character will matter more. After all, if you did not care about children, why would you go through so much trouble of having a child through IVF and that too after repeated failed attempts. Why this evil cruelty? If a male gets a woman pregnant and then decides to abandon the innocent child, the male is still held accountable and responsible for the innocent child. But if an intersex person (also a genetic male) decides to abandon an IVF child leaving them in the tender care of the child’s father, the intersex person is NOT held accountable or responsible for the welfare of the child? WHY? Are the needs of the IVF child LESS than that of a natural born child? We wait for justice to arrive for the IVF child – recognition as a normal human being. Why this evil cruelty? If a young, male, spouse leaves a marriage when the spouse is diagnosed with a traumatic condition, they may be looked down upon but they are in the majority – 83% male spouses do that. Instead if you stay in the marriage and become a caregiver giving up on your career dreams, long-term health, personal trauma, you will be in a minority and there are NO laws to protect you. If a PAID caregiver trips and falls in your house while providing care, they are covered by insurance BUT if you fall, or fall sick or breakdown or suffer or fall ill, or just end up becoming a SLAVE to the lack of rights for intersex, IVF, immigrants, there is NO insurance for you, there is NO laws for you, there is NO justice for you. WORSE, your kids also deserve to get PUNISHED. WORSE YET, your kids who are innocent and have committed no crimes get punished while the real perpetrators and co-conspirators walk free. The worst part is other intersex, IVF, immigrants cannot repeat this meaning the laws have still not changed, this person just happens to be extremely selfish (which most are) but who also happens to be a criminal who has broken laws and endangered the welfare of innocent children. Why this evil cruelty? We look for a world when innocent get justice – when IVF children and families get justice – when innocent brother and sister are treated EQUALLY. 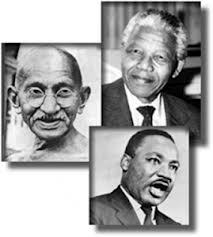 Mahatma Gandhi, Dr. Martin Luther King, Jr, Nelson Mandela are some of the biggest humanitarian pioneers and inspirations of the 20th century. Both Dr. King and Mandiba have admitted Gandhiji as their mentor in principle. They all taught us a singular message that when it comes to human rights – its a long war but in the end truth always prevails. Their personal family lives suffer but they are “Father of the Nation”. While Dr. King may not have been awarded this title, he certainly changed the moral compass of an entire nation and USA being one of the most powerful nations in the world, he also ended changing the moral compass of the world just like Gandhiji and Mandiba. “Become the change you want to see in this world” – Mahatma Gandhi. Similarly, can there be laws and change for fertility rights so people don’t have to break laws? “Injustice anywhere is a threat to justice everywhere” – Dr. King. Similarly, is injustice to IVF child/family enough to make us want reproductive laws? “If one can be taught to hate, then they can also be taught to love.” – Madiba. Similarly, if human-made laws can split families, can new laws be enacted to keep IVF families united? We have a dream that one day there will be equal rights for IVF children and families including straight, single, LGBTI parents. In the 21st century, we have new challenges – gay rights, immigration rights, IVF rights, reproductive rights, and so on. The British ruled India for centuries and it took Gandhiji a few decades to achieve freedom with his honest and peaceful approach. Dr. King fought for civil rights for a few decades before realizing his dream. Mandiba took a few decades to be free of apartheid. Gay rights movements have fought for decades before getting some rights in 2013. Immigration rights have made some success stories but is not complete and continues to split families. Reproductive rights, IVF rights are not even on the radar to be addressed yet. Claiming reproductive rights only belong to women is retrogressive because innocent children of LGBTI families, single parents, non-biological parents get punished because of lack of foresight in the laws. Mothers will always be mothers and no one cant take that away. By acknowledging facts where families exist with children of single male fathers or gay fathers or where fathers are primary care providers we are addressing the rights of a child and not threatening “motherhood” in any way. In the 21st century, reproductive rights need to be inclusive and be free of 20th century stereotypes. When the peaceful and honest freedom for reproductive rights for all will be complete, we will witness the same principles of Gandhiji, Dr. King and Mandiba having won. When we can honestly respect another soul’s existence like ours – meaning we all deserve equal respect and dignity regardless of caste, gender, color, race, religion, birth type (natural or IVF), birth place. We look forward to the day when the Parents of the IVF nation will be treated equally and their intent will be taken into account. We look forward to the day when innocent, defenseless IVF children will have equal protection under law. If there is a DNA mismatch in having a IVF child and the parent still wants to raise the child, there should be laws to allow that and the parent should not be forced to give up the child. If an infertile parent who cannot have a “biological link” with a child, there should be laws to still allow them to immigrate with a “non-biological” child instead of breaking the laws. If a gay parent or single parent wants to raise a child, their gender or circumstances should not be used to punish his children to be split up growing up separately. If a parent carries her IVF child to term but with donor egg and sperm and therefore “no biological link” with the child, there should be laws to still allow them to immigrate as a “mother”.